Berrylodge Country House is a luxury 18th Century property perfectly located on the Wild Atlantic Way. 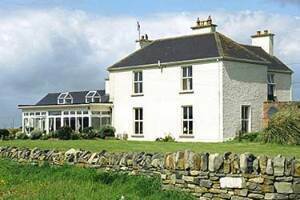 The 3,250 sq ft House with stunning ocean & Countryside views is on 6 acres and is in the picturesque coastal resort of Spanish Point, Clare on the west coast of Ireland.The house has fibre broadband connected with Wifi throughout. 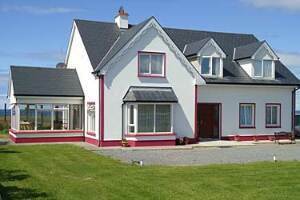 The property is 15 minutes drive from Lahinch and Doonbeg golf clubs and 25 minutes drive to the Cliffs of Moher. Let Berrylodge Country House be your home away from home. 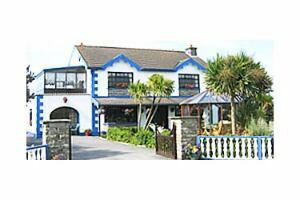 Friendly family run bed and breakfast just a few minutes to a sandy beach. Ideal location for touring the burren and cliffs of moher. Close to restaurants and traditional music pubs.